"Ah Huat" or in English Mr Huat, "Xin Xiang Shi Cheng" or in English May Your Heart Desire, Come True. The brand is "Ah Huat" . Tagline is may your heart desire, come true. Taste is White Coffee. 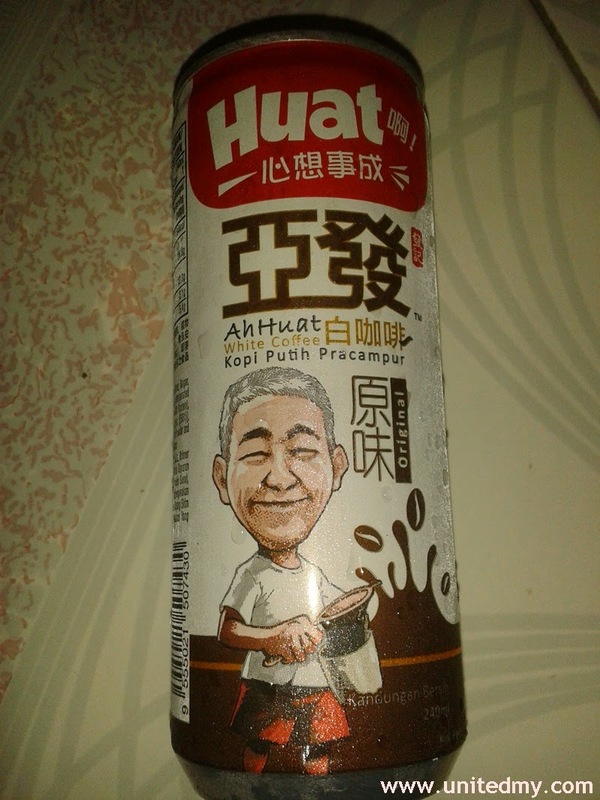 One of the most prominent coffee brand due to the brand ambassador to be "Ah Niu". Partly to that its wide advertising contributes successful of the brand penetrating beverage market in Malaysia. I am guessing it is the first coffee manufactured with a Mandarin characters. Produced by the same company manufacturing Power Root coffee or Alicafe. You will know this company because they extensively advertises drinking its coffee one of you will take away RM 1 million prizes. Well, another opinion of mine is that all the white coffees does not taste differ only difference is the packaging ! I may have bought this RM 2.50 ? ?